The judgment of Mr Justice Arnold in Supreme Petfoods Limited -v- Henry Bell & Co (Grantham) Limited  EWHC 256 (Ch) contains a detailed analysis of the law relating to trade marks. Thanks to technology the judgment contains some vivid photographs of packs of pet food with lots of rabbits on show. However part of this case contains a familiar story in relation to the drafting of witness statements. The claimant brought an action claiming breach of the word “SUPREME” as a trade mark for animal food. One of the issues was whether the defendant’s use of the word supreme on its own packaging led to confusion. 1. The witness statements were misleading in relation to aspects of “confusion” by customers. 2. This evidence was rectified by the honest witnesses but this demonstrated that the evidence they gave had little, probably no, value. Counsel for Henry Bell made certain criticisms of the evidence of some of Supreme Petfoods’ witnesses. The most serious criticisms concerned Ms Hamblion and Ms Newby. In both cases, however, the criticisms mainly related to the witness’ witness statements rather than their oral evidence. In my view both witnesses gave their oral evidence fairly, although I agree that their witness statements left a certain amount to be desired. Later in the judgment the judge considered whether there was evidence of any confusion by customers. It was here that the claimant’s witness evidence was criticised. Henry Bell contends, however, that its and its predecessor’s use of the sign SUPREME amounts to honest concurrent use in accordance with Budvar v Anheuser-Busch, since that use has coexisted with Supreme Petfoods’ use of the UK Word Mark for over 20 years without causing confusion, and this demonstrates that the use has no adverse effect on the origin function of the UK Word Mark (or indeed any other function). 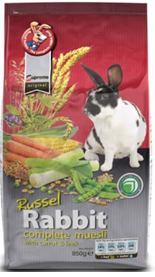 By the end of the trial there was little dispute that Henry Bell and its predecessors had continuously used the sign SUPREME in relation to rabbit food since at least October 1994 or that such use had coexisted with Supreme Petfoods’ use of SUPREME in relation to small animal food throughout that period. Furthermore, there is no evidence of any actual confusion having occurred prior to the commencement of these proceedings. Supreme Petfoods contends, however, that it has found evidence of actual confusion since the proceedings were commenced. In his closing submissions counsel for Supreme Petfoods placed very little reliance upon this evidence, accepting that “some inroads” had been made into the evidence in cross-examination and going no further than to submit that the evidence was “not valueless”. In my judgment this evidence does not establish that there has been actual confusion for the following reasons. In January 2014 Mr Baker spoke to Ms Kibble and asked her if she and Ms Newby could record any apparent instances of confusion that they came across during the course of their normal telephone calls to customers. Ms Kibble said that she was told by Mr Baker that this was because they were “gathering facts” due to the use of SUPREME on Mr Johnson’s products and that there might in the future be an action of some sort. Ms Kibble relayed this instruction to Ms Newby. Since Ms Newby made far more calls than Ms Kibble, all the instances recorded between then and June 2014 were recorded by Ms Newby. Ms Newby made notes of each of these instances in an email sent after the call. Those notes were neither exactly contemporaneous, nor verbatim records of the conversations. In January 2014 Ms Newby had only just started working for Supreme Petfoods. Prior to this, she had no experience of the pet food industry and knew nothing about rabbit food at all. Ms Newby averages between 60 and 70 calls a day, so has spoken to thousands of customers in the year that she has been at Supreme Petfoods. Ms Newby did not realise the importance of keeping accurate records of the conversations she was having, and nobody suggested to her that it would be helpful. In June 2014 there was a meeting between Mr Baker, Ms Kibble, Ms Newby and Mr Phillips during which Mr Phillips asked Ms Newby to approach some of the customers who had featured in her notes to ask them if they would be prepared to speak to Supreme Petfoods’ trade mark advisor, in order that they could be asked whether they would be prepared to give evidence. Mr Phillips also asked Ms Kibble and Ms Newby to carry on recording apparent instances of confusion and to ask the customers concerned if they would be prepared to speak to the trade mark advisor. After this, Ms Kibble recorded two supposed instances of confusion, one involving Mr Hollins. She also recorded these in emails sent after the calls. It is fair to say that her notes appear to be fuller and more accurate than those of Ms Newby, but they are still not precisely verbatim records. Unfortunately Ms Newby does not appear to have been well briefed as to how she should go about recontacting the customers she had previously spoken to. It is clear that on at least one occasion she spoke to a different person altogether, yet told that person that she had had a previous conversation with him. On at least two occasions she told the person she was speaking to that the person she had spoken to before had been confused, when the note of the previous conversation does not in fact suggest that that person had been confused. On several occasions she told the person she was speaking to that other retailers had been confused. It follows in my view that all the evidence deriving from this exercise must be treated with great caution. In total, Supreme Petfoods relied upon 27 records of instances of supposed confusion. Two of these were made by Ms Kibble as discussed in paragraph 169 above. The remaining 25 were made by Ms Newby. Of those, Ms Newby re-contacted the customer on five occasions. In an additional two cases, Ms Newby spoke to the customer of two different occasions, and on both occasions the customer was supposedly confused. One of these customers was Ms Walsh. Supreme Petfoods was only able to obtain witness statements from two of these witnesses, Mr Hollins and Ms Walsh. As noted above, only Ms Walsh attended for cross-examination. Ms Walsh gave evidence about two conversations she had with Ms Newby, the first on 4 February 2014 and the second on 5 June 2014. “Me – Hello this is Penny from Supreme Pet Foods, I wonder do you stock any of our products? Me – Do you stock any of the Selective range? Lady – Yes! I stock the tropical fruit mix. Me – Oh, I think you are referring to the Mr Johnsons range? Ms Walsh said that she recalled this conversation very well. When Ms Newby had called, Ms Walsh had been very busy because she was the only staff member on duty. Her shop kept all their rabbit foods loose in bins with a cut out from the front of the bag on each bin. She had looked over towards the bins, saw the word SUPREME on the Mr Johnson’s Tropical Fruit mix, which was a relatively new product for the shop, and mentioned that. She said she had immediately realised she was looking at the wrong bin and that she was not looking at a SUPREME PETFOODS product. “Me – Hello its Penny again from Supreme! Ms Walsh did not recall this conversation as well, but believed that she was in a rush because she was in the process of placing her order as well as doing everything else. She confirmed that she knew that Mr Johnson’s did not make a 12.5 kg bag of Hamster & Gerbil mix (and my understanding is that the same is true of the Rabbit mixes). She attributed her confusion to being in a rush. I am not persuaded that this evidence shows that Ms Walsh was misled by the use of the sign SUPREME on Henry Bell’s products into thinking that those products came from, or were associated with, Supreme Petfoods. All it shows is that a harassed individual can momentarily make mistakes. As for the other instances of supposed confusion recorded in Ms Kibble’s and Ms Newby’s notes, these are no more persuasive. Indeed, many of them are even less convincing. In addition to the evidence described above, Supreme Petfoods called Ms Lees and Ms Till to testify to supposed confusion amongst consumers. This evidence was even less impressive. Ms Lees said that people coming into her shop often asked for “Supreme Rabbit”, and when asked whether they wanted SUPREME RABBIT MIX from Mr Johnson’s or a rabbit food from SUPREME PETFOODS, they often did not know. When this happened, Ms Lees showed them the product itself or the packaging, whereupon they usually recognised what they had had in the past. It is clear from this that her customers know what they want and are able to identify it. All this shows is that, from the retailer’s perspective, a request for “Supreme Rabbit” is ambiguous. Ms Till said in her witness statement that “we had a number of problems with customers who had bought the Mr Johnson’s product when they intended to buy the Supreme product”. It emerged in cross-examination that she was referring to events that took place at least eight years ago and that she had not even spoken with the customers at the time – it would “probably” have been the manageress, but she had not spoken to the manageress recently, or indeed before she had made her witness statement. This is not evidence that I can rely on. Given the coexistence of Mr Johnson’s SUPREME RABBIT MIX with Supreme Petfoods’ use of SUPREME for over 20 years and the absence of confusion, I conclude that Henry Bell has established that its use of the sign does not adversely affect the origin function of the UK Trade Mark (or any other function, not that any other function is relied upon by Supreme Petfoods for this purpose). We have seen criticism of “evidence” in this kind of action before. The Court of Appeal were critical of the “opinion evidence” in the Rihanna clothing case. The use of “opinion” type evidence was also criticised by Mr Justice Arnold in Enterprise Holdings Inc -v- Europcar Group UK Ltd  EWHC 17. Do I want your opinion? What are witness statements for?